Biotechnology tradeshow exhibitors, have you ever spent 20 minutes circling a parking lot before finding a spot at the far end of the lot, or not at all? 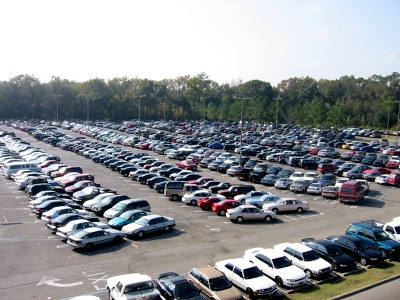 Everyone has experienced parking nightmares at large events, malls, and even universities. You could circle the lot for 20 minutes before being "lucky" to find spot a long hike away from where you want to be. But wait, finding a spot is just the beginning of your parking nightmares. If you are fortunate, you only have to bring yourself, but usually you have so much stuff you start resembling a Sherpa. Risk looking unprofessional upon arrival: sweaty, exhausted, and out of breath. To avoid these unfortunate mishaps you should always have pre-reserved parking close to your venues. To insure this, Biotechnology Calendar Inc.™ includes parking in our packages. Often, this comes as an option in your vendor exhibition package, but it is always important to confirm. Regardless of whether this service is free or has an additional charge, it is essential for reducing stress before entering your conference. If your conference does not have reserved parking, try to contact the conference facility directly. You only have one chance to provide a professional first impression, so make sure that it is a good one. We at Biotechnology Calendar Inc.™ believe everyone should have a stress free conference experience. Oftentimes at universities it can be impossible to find a close parking space, which is why we offer parking validation at our events. It is important to us that our exhibitors have a stress free experience by knowing a parking spot will be there when needed. 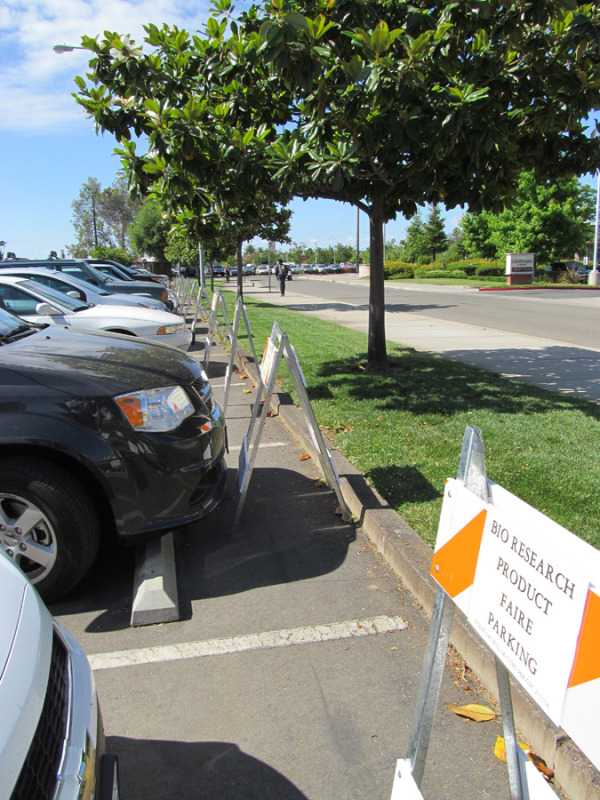 At Biotechnology Vendor Showcases™ and BioResearch Product Faire™ events we offer one free parking space to all exhibitors, with the option to purchase more. Front Line Events™ have pre-arranged, reserved parking for a fee. To save you time and avoid long walking distances, we ensure that the parking spaces are close to our events. Moreover, we have concierge services to help you load and unload your exhibit material the day of the event. Depending upon the show attended, this service can be valued at $50-$100 dollars. It is essential to have reserved parking space at university Biotechnology tradeshows. A parking space ensures a hassle free beginning to your exhibit day. To have a great parking experience attend a Biotechnology Calendar event. We have 60 laboratory supply tradeshows at universities across the United States. Please click if interested in learning more about reserved parking at Biotechnology Calendar's events. If interested in attending a Biotechnology Calendar, Inc. event, click the link to see the 2012 schedule and the 2013 schedule.